This looks so good! Hubby would love this. I will have to try it, thanks! That looks so delicious I could go for a bowl of that right now. This recipe is great! Thank you. I will have to make it for my hubby. This looks yummy, it’ll be nice to eat this during cold weather. This looks really yummy, but I would substitute milder sausage. Spicy and me don’t get along, and the grandkids don’t like spicy either. I am going to try this, but with tempeh instead of the sausage! This looks really good. I might have to put the tomatoes in the food processor to get the kids to eat it. I love homemade soup during the winter. Looks great – I like spicy – I will have to try making it. This is more a stew than a soup, but whatever you call it the recipe is great! This soup sounds and looks delicious! I love a good spicy rustic soup! 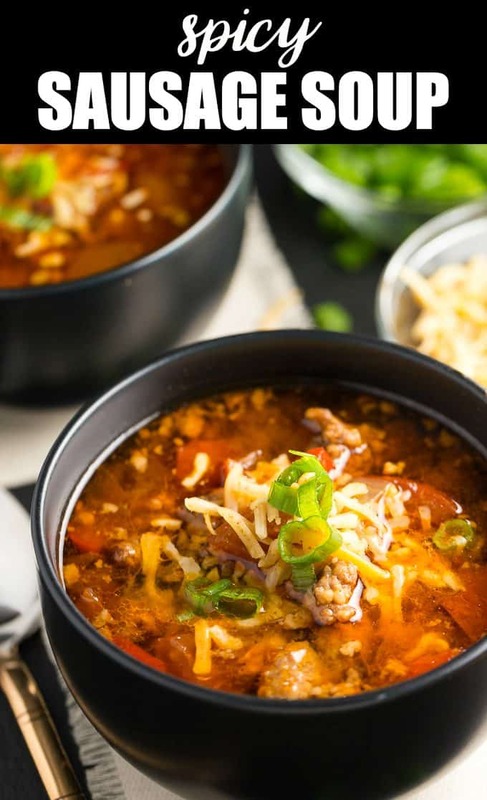 Looks like a great soup – I am always looking for great soup recipes! 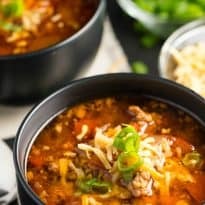 This spicy sausage soup looks so good! I’ll hgave to try it out, my big brother would love it! 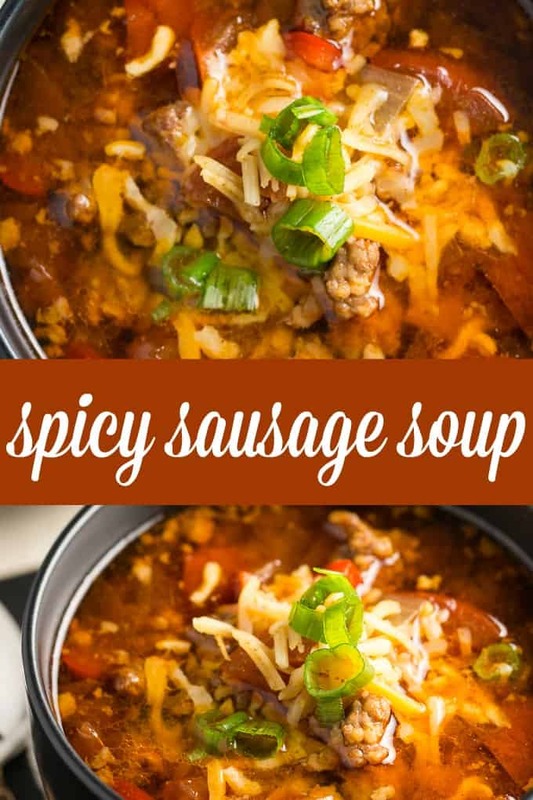 I love soup and I had never thought about adding sausage before, will definitely be adding to pinterest to try in the future! Thanks for sharing ! Looks delicious! I’m a big fan of sausage, love your simple recipe. Would be great if you brought it by foodie friday. I never thought of this ! We love sausages and this will make a great difference in our recipe books. This looks and sound tasty, going to save it for later. Love to try this! Thanks! This looks so good! I would definitely try it with mild- I love sausage and make some form of it at least once a week! Yummm! This looks perfect for this cold weather. Thx! I’m always looking for a good jumbalaya recipe! Definitely adding this to my ‘must try’ list! Thank you! Perfect soup for this time of the year. Oh this looks so good. Could have used this recipe last week when I was sick. Now I have it for the future. Too bad my son said, “Mom stop looking for soup recipes. You have enough.” He doesn’t like soup. I say too bad. This looks good but I would definitely use mild sausage, not a big fan of spicy here. But love making soup! Pingback: 66 Amazing Crock Pot Recipes! Visiting via Sew Can Do! http://www.thesweetsensations.com/celebrate-your-story-60/. Hope that you can make it!